MELASMA | Alan Kling, M.D. 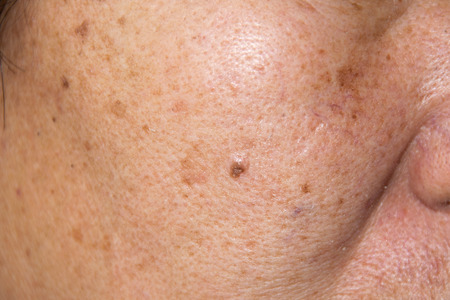 How do Dr. Kling diagnose melasma? Dr. Kling can diagnose most patients by looking at their skin. To see how deeply the melasma penetrates the skin, your dermatologist may look at your skin under a device called a Wood’s light. Sometimes melasma can look like another skin condition. To rule out another skin condition, your dermatologist may need to remove a small bit of skin. This procedure is called a biopsy. Dr. Kling can safely and quickly perform a biopsy during an office visit. Tretinoin and corticosteroids: To enhance skin lightening, Dr. Kling may prescribe a second medicine. This medicine may be tretinoin or a corticosteroid. Sometimes a medicine contains 3 medicines (hydroquinone, tretinoin, and a corticosteroid) in 1 cream. This is often called a triple cream. Other topical (applied to the skin) medicines: Dr. Kling may prescribe azelaic acid or kojic acid to help lighten melasma. Procedures: If a topical medicine does not get rid of your melasma, a procedure may succeed. Procedures for melasma include a chemical peel (such as glycolic acid), microdermabrasion, and dermabrasion. Dr. Kling should perfrom these procedures. New skin problems can occur when the person who gives the treatment does not tailor it to the patient’s skin type. Ask Dr. Kling about possible side effects (health problems that can result from the treatment). Under Dr. Kling’s care, many people with melasma have a good outcome. Melasma can be stubborn, though. It may take a few months of treatment to see improvement. It is important to follow your dermatologist’s advice. This ensures that you get the most benefit from treatment. It also can help avoid skin irritation and other side effects. After your melasma clears, you may need to keep treating your skin. Dr. Kling may call this maintenance therapy. Maintenance therapy can prevent melasma from returning.